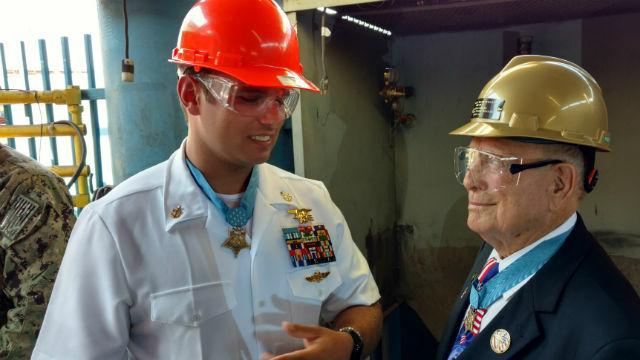 The last surviving Medal of Honor recipient from the World War II battle of Iwo Jima was honored Tuesday when his daughters welded their initials into a ship named in his honor. Hershel “Woody” Williams, 92, received the medal from President Harry Truman in 1945 for a four-hour effort to destroy Japanese fortifications with flamethrowers and demolition charges during the fearsome battle for the Pacific island. The island’s capture was immortalized in a photo of Marines raising the American flag atop Mount Suribachi. The ship named in his honor is a 784-foot expeditionary sea base — a floating Marine base with quarters for 250 and a flight deck for helicopters and tilt-rotors. The ship is fourth in an evolving class of seven vessels being built at the General Dynamics NASSCO shipyard in Barrio Logan. “This is a miracle that can only happen one time in a life,” he told a crowd of shipyard workers, Marines and Navy personnel, including two other Medal of Honor recipients. 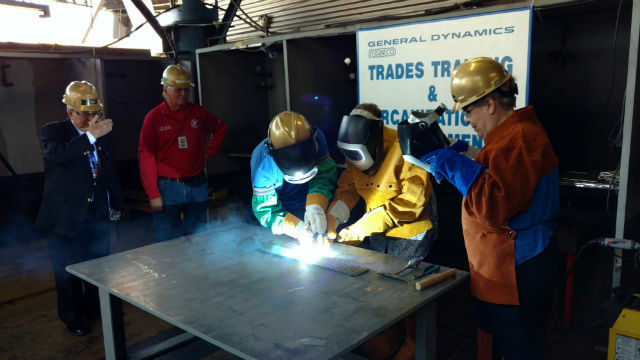 His daughters Travie Ross and Tracie Ross welded their initials onto a plate that will be attached to the ship, a modern version of the keel laying ceremony of maritime history. The ship consists of only one steel section at this point, but will be completed in the first quarter of 2018. It will eventually consume 21,000 tons of steel. The ship is designed as a flexible platform to support a variety of missions, including mine countermeasures, counter-piracy operations, maritime security and humanitarian missions. 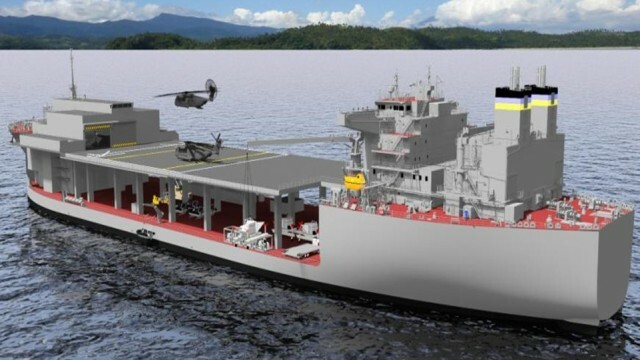 Its 52,000-square-foot flight deck will support MH-53 and MH-60 helicopters and eventually MV-22 Osprey titl-rotors.